If you don’t count high school student body president, Aimy Steele has never held political office. 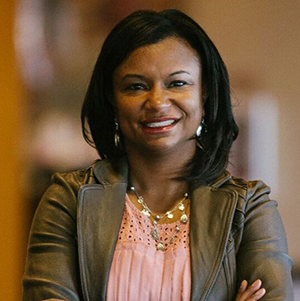 But as a teacher and school administrator, she’s run classrooms and schools, and now she’s running to represent her district in North Carolina’s state house of representatives. Steele and thousands of teachers around the country got a taste of politics this spring when they staged rallies and walkouts to demand higher pay and more funding for their classrooms. Many of those same teachers and their colleagues from around the state are now running for office, hoping to bring their energy, experience, and penchant for compromise to Congress, state houses, and other political offices around the country. These teachers represent both major parties and have a range of specialties and experiences. They’re worried about school safety, teacher pensions, equity for students from poor neighborhoods and those with disabilities, and adequate funding for classroom technology. And they all seem to agree that teachers have something to bring to the legislative table that’s currently missing. Many, but not all, of the teachers on the ballot this election cycle are from red states that saw teacher walkouts this year, including Kentucky, Arizona, and Oklahoma. The corps of teacher-candidates has seen some high-profile wins this year, such as R. Travis Brenda defeating a rising Republican star for a nomination in Kentucky, and also some defeats, notably in Nevada’s primary gubernatorial contest. 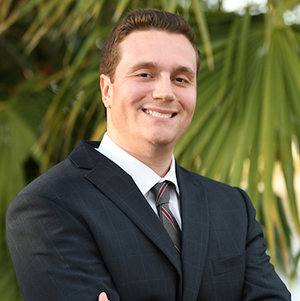 Bisaccia, 27, is a Democrat running to represent Arizona’s District 12 in the state House of Representatives. Although he has only been teaching for one year — he previously worked in broadcast news and technology sales — he decided to run for office shortly after the school year started. He realized right away that his school, Cooley Middle School, was short on materials his classroom needed. Bisaccia’s priority is to create a sustainable funding stream for Arizona education, which he said will require comprehensive tax reform and possibly a constitutional amendment to revamp the budget process. Bisaccia will return to his classroom in the fall and will make a decision about the rest of the year after election day. 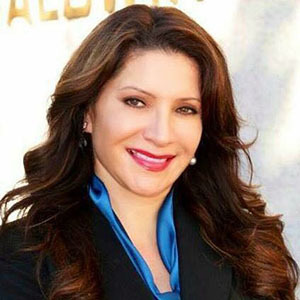 Susan Rubio was inspired to run for a state senate seat in California after she worked on her sister’s winning campaignfor the state assembly in 2016. Rubio, a Democrat, has been a teacher and administrator for 17 years and has also served as a clerk and city council member. She has several priorities for education in California: more school counselors, equitable access to technology for all students, smaller class sizes, and more support for teachers. One of the reasons Rubio decided to run for office was how much she and her colleagues were being run down as teachers, she said. Teachers have been “screaming for help” the past few years, and now they want to “be part of the solution,” Rubio told The 74. Rubio will face Democrat Mike Eng in the general election. She is taking a leave of absence from her classroom from September to November; if she is elected, her temporary replacement will stay for the remainder of the year, but Rubio will take her job back if she does not win. Rubio echoed the sentiments of many teachers-turned-candidates when she said she was tired of watching the same problems continue year after year in her community. “It’s becoming increasingly difficult to … sit back and just continue to watch the same things over and over again without having the ability to effect change,” she said. 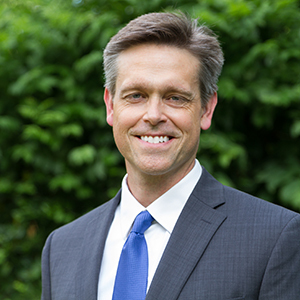 Tom Niermann, 50, is a history teacher, but in the fall he will be campaigning full time to represent Kansas’s 3rd congressional district in the United States House of Representatives. Niermann said the motivation behind his campaign is the same one that drew him to teaching: serving his community. In the current election cycle, voters are worried about school funding and school safety, issues Niermann has seen firsthand. Education spending is an especially salient issue for Kansans, given the ongoing court battle over whether the state sends enough money to schools. Per-student spending in Kansas was more than $1,000 below the national average in 2015, the latest year for which data are available. Niermann has been teaching for 26 years, 22 of those in public schools. A few years ago, he moved to a private school because it offered affordable health insurance for his family, which the public school was not providing. Nierman is running for Congress with an eye toward education equity, especially increasing Title I funding for schools. He noted that the verdict in 1954’s Brown v. Board of Education, a case with roots in Topeka, Kansas, puts the onus on the federal government to make sure all students receive quality educations. Being part of the wave of teachers running for office is “encouraging” for Niermann, who said he is proud that so many educators are hitting the campaign trail. Teachers have a special kind of insight into the life of their community and its struggles, he said, such as what happens when a parent loses a job or a family loses health insurance. Niermann taught through the end of the school year but will not return in the fall, leaving his family with a reduced budget. He and his wife, who is also a teacher, decided the run was worth the sacrifice. “The stakes require this kind of commitment,” he said. He will face five other candidates in the Democratic primary Aug. 7. R. Travis Brenda, 43, is a high school math teacher and a Republican running for state representative in Kentucky’s 71st District. Brenda’s primary victory against Kentucky House Majority Floor Leader Jonathan Shell, who had the endorsement of Senate Majority Leader Mitch McConnell, garnered national attention in May. Shell was seen as a key proponent of a change to Kentucky’s public-employee pension system enacted earlier this year, which changes the pension framework for new teachers, giving them a hybrid pension-401(k) plan and requiring more years of work before they can retire. Brenda, whose mother is a retired state employee and whose sister is also a teacher in Kentucky, is concerned about the pension issue, which was a focus of this year’s teacher walkouts and which will now go to court. Brenda participated in the rallies in Frankfort when his school was closed to accommodate them. 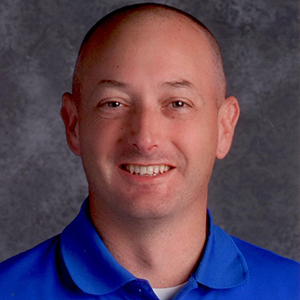 Brenda was planning to run for office before the teacher rallies and walkouts that rocked Kentucky this spring; he said he has felt called to represent his community in the legislature since a back-to-school prayer service at his church in August. Brenda said the large number of teachers running for office is an indication that people are starting to pay more attention to the political process and what elected officials are doing. “I think it’s exciting, I think people are finally waking up,” he said. Brenda, who has taught high school math and engineering in Rockcastle County for 19 years, has not previously run for elected office. He plans to return to his classroom full time at the end of the summer. If he wins, he said, he will work out a plan with his principal and superintendent to be in class as much as he can and ensure students are receiving high-quality instruction when he cannot be in class. Donna Lawlor, 62, is a retired teacher who has taught Spanish and English as a second language, served as an American Sign Language interpreter in the classroom, and worked at the Illinois School for the Deaf. She’s also a Republican running to represent Kentucky’s District 35 in the state house of representatives. Lawlor said she is running to represent minority groups and because she understands the budget and education issues at stake. “Why not a woman who is fluent in two minority-group languages, and then also an educator?” she asked, noting that there were too many “men of the Caucasian kind” in the legislature. This is Lawlor’s fourth run for the seat. 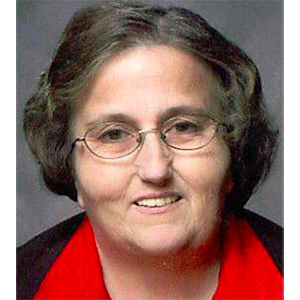 She’s previously served as a district commissioner in Jefferson County, Kentucky, also an elected position. She did not participate in the teacher strikes this year and sees running for office as a more positive step toward solving problems. Lawlor, who is hard of hearing herself, hopes if elected to advocate for deaf and hard-of-hearing adults and children. 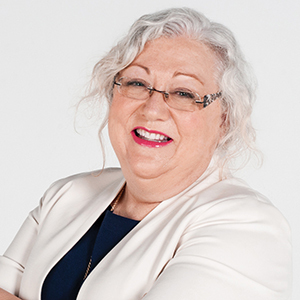 In the general election, Lawlor will face Democrat Lisa Willner, a school board member, part-time college professor, and advocate for public education. When she talks about participating in a teacher rally at the state capitol in May and running for office, Steele repeats a word seldom associated with politics: joy. “Knowing that my fellow colleagues are choosing to take on this next step of our journey, the ability or the calling to run for office, just makes me feel very happy, very honored,” she said. “I’m elated to have the opportunity and to be able to be working with other teachers” during the campaign. Steele will not return to her post as principal when school resumes. She ran uncontested for the Democratic nomination in North Carolina’s primary May 8. When her state representative made disparaging comments about teachers on a Facebook Live video, Cyndi Ralston was ready. Already planning to run for office, Ralston announced her run early in direct response to Republican Rep. Kevin McDugle’s comments that he would no longer vote for measures to support public education because of how teachers acted during their walkouts. Ralston, 57, is a Democrat and an elementary school teacher running to represent Oklahoma’s District 12 in the state House of Representatives. For many teachers, getting involved in politics can feel against their inclination to be peacemakers, Ralston said. But they draw the line when they see policies that negatively affect their students. “No more. When it affects our kids, that’s when teachers will go, ‘That’s it, give me a textbook to teach from, give me technology that works, give me the resources I need, and I will do whatever it takes,” she said. Ralston participated in teacher rallies at the capital earlier this year and has encouraged other educators in Oklahoma and elsewhere to run for office. She also participated in similar protests in 1990. At the time, she was pregnant with her son, who is now managing the campaign of another retired teacher who is running for office. “I started him out [at] the capital,” Ralston said. Ralston is running unopposed in the Oklahoma Democratic primary on June 26. Her district offers semester-long contracts, so she will return to her classroom when school resumes and, if elected, will be able to serve in the legislature without violating her contract. Posted in Accountability, Advocacy, Education Budget, Educators Protest, Every Student Succeeds Act, Funding For Education, No Child Left Behind Act, Pension & Salary and tagged "Standing Strong for Public Education", #iBelieve, Accountability, Accountability System, Advocacy, Department of Education, Diversity, Education, Education Funding, Every Student Succeeds Act (ESSA), Federal Education Policy, High-Needs Students, NEAExecutiveCommittee, Pensions, Public Education, State Budget, Students, Testing and Accountability. Bookmark the permalink.